The XIV International Symposium on Computer Simulation in Biomechanics will be held August 1-3 2013, the weekend leading up to ISB 2013, in Natal, Brazil. This symposium is the continuation of a conference that Andrzej Komor organized in Warsaw in 1985. In his honor, the Andrzej Komor New Investigator Award will again be presented to recognize the best paper by a new investigator. The award will consist of a $500 prize and a certificate made possible by the generous support of the International Society of Biomechanics . The competition will be judged by an ad hoc committee of the Technical Group on Computer Simulation at the Symposium. In order to give as much exposure as possible, the award will also be announced in the larger ISB Congress, at either the General Assembly or the Banquet. To be eligible for the award the new investigator must be either a student or not have a PhD prior to January 1st 2013, must be the first author and he or she must present the paper. Dr. Andrzej J. Komor was killed in an airplane crash in Colorado Springs, Colorado, on March 3, 1991. He was returning from a trip devoted to wind tunnel testing for competitive cyclists. The sport science community, and the International Society of Biomechanics in particular, have lost a remarkable individual. 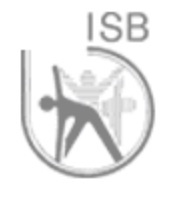 Dr. Komor was very active in ISB. He first attended the VII ISB Congress as a student in Warsaw in 1979. Subsequently he was elected to the Executive Committee of ISB and became a founding member as well as a tireless prime mover and Chairman of the ISB Working Group on Computer Simulation. He served as the main organizer of the First International Symposium on Computer Simulation in Biomechanics, held in Warsaw in 1987, and had fostered the WGCS through its difficult formative years. Andrzej's formal education began at Warsaw Technical University where his combined BS and MS program culminated in a thesis on the design of aircraft simulators. He received his PhD from the Academy of Physical Education in Warsaw, submitting a thesis that dealt with the optimization of human motion in sports applications. His rare blend of training in engineering and physical education made him unusually capable in the physical analysis of sport problems; he was equally at home interpreting the differential equations of optimal control or communicating training techniques to athletes and coaches. He was especially effective at bridging the gap between theory and practice, so difficult in the field of sport biomechanics. His professional career began at the Polish Institute of Sport where he served from 1981 to 1985 as head of the Department of Biocybernetics. During this time he directed an unusual team of six to seven PhD physicists and engineers tackling a creative and wide-ranging set of problems in sport (e.g., archery, gymnastics, pole vaulting, and judo strategy). Later Andrzej held visiting positions at the Institute of Sport in Rome, at two campuses of the University of California (Davis and Los Angeles), and with the U.S. Olympic Training Center in Colorado Springs. In September 1990 he accepted a permanent position in the Sports Science Division at the USOC and had been an energizing and catalytic influence for change during his brief tenure there. As one of his pet projects he had envisioned and championed a sport biomechanics wind tunnel, which will be included in the expansion and renovation of the USOC complex, to facilitate the optimization of aerodynamic performance for athletes and equipment. Only days before his death, Andrzej had attended a meeting he had organized at the NASA Ames Research Center devoted to the planning and design of the wind tunnel. Those of us who knew Andrzej personally held him in high regard. He was impatient with mediocrity, especially mediocre effort. He had a brilliant mind and spoke five languages well enough to communicate his ideas technically. He was a remarkably eclectic synthesizer and an exceptional information collector and processor whose mind was never at rest. He believed that sport research should be outside the political arena and that new research knowledge should belong to all peoples. His uncommon ability to make friends seemed to emanate from his genuine respect for individuals. Throughout his very full life, Andrzej was extremely devoted to his parents and friends. When we sometimes asked him if he wouldn't prefer to move to California, his reply was always that he would be happiest "making my own California in Poland." He often said that he believed one should live life to the fullest so that there would be no regrets at the end. In virtually all the facets of his life, he epitomized the Olympic ideal of being the best that one can be. Andrzej Komor, a valued international colleague and friend to many of us, will be missed.